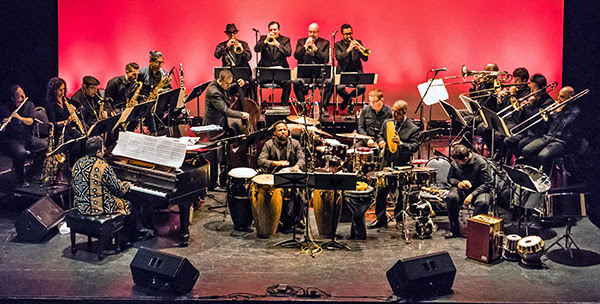 Tickets for the Friday and Saturday performances by the Afro Latin Jazz Orchestra of Falafel, Freilach, & Frijoles: From Mambo to Borscht will be at the box office of Symphony Space. The box office opens at 1pm on both days. Symphony Space is located at 95th Street and Broadway in Manhattan. If you would like to attend please go to the box office and request a ticket. There will be assigned seating and everyone must have a ticket. 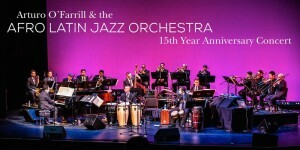 This entry was posted in NY Musicians and tagged Afro Latin Jazz Orchestra on November 2, 2012 by Sohrab Saadat Ladjevardi. Forging a new acoustic sound that defies categorization while striking universal chords, Tin Hat from San Francisco makes freewheeling chamber music for the 21st century. Garnering widespread critical acclaim for its six CDs, the group has also earned high marks for their captivating performances. Tin Hat’s international audiences have grown over the years through its many concert tours in the United States and Europe. Hailed by the press for “interweaving Old World Europe with post- modern America, south-of-the-border sensuality with concert-hall propriety, and odd-metered syncopation with deeply soulful grooves” (The New York Press), the ensemble has created an original American ethnic music of its own device. This entry was posted in Music Listings and tagged Abdoulaye Alhassane Toure, Adam Rudolph's Moving Pictures, Afro Latin Jazz Orchestra, Anders Nilsson, Arturo O'Farrill, Barbès, Brandon Ross, Chris Cochrane, Eyal Maoz, G. Calvin Weston, Harriet Tubman, J.T. Lewis (drums), Jon Madof., Josh Roseman, Kohane of Newark, L’Orange Bleue, Le Poisson Rouge, Melvin Gibbs, Ricky Orbach, SLAVIC SOUL PARTY, Symphony Space, The Roulette, The Stone, Tin Hat, Zebulon on October 31, 2010 by Sohrab Saadat Ladjevardi.